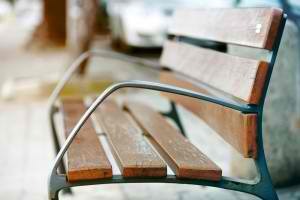 For your patio, combine wood and rustic metal finishes to your furniture options. History tells us that iron and any other types of metal used to be prominent fixtures in plumbing, cabinetry, roofing and lighting. Thanks to the modern world, iron and metal now take center stage in the design area. These two elements can create beautiful pieces of furniture to pull together your industrialized look. You can add your own style by recycling old metal works to create your own pieces. Consider the old fashion metal spring stools for your outdoor kitchen or bar. Often times, people keep flooring in industrialized settings down to basic concepts such as concrete or brick. You can add variation to your backyard by mixing up your options, perhaps use the concrete in your outdoor kitchen and brick in the patio area. By doing so, the modern backyard has a variety of textures that help liven up the atmosphere. 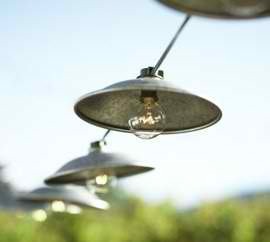 Lighting can make the atmosphere you are trying to achieve in your outdoor living space. You can use rustic tin barrels as overhead lighting in your patio. For your pool, you can use a recycled pulley and transform your own street lamp. Do you need help renovating your backyard? Call us today to get your dream outdoor living area!